a kind, gentle giant who can be found every night blowing good dreams through the bedroom windows of sleeping children. After reading this amazing novel, have your students complete these fun culminating activities. 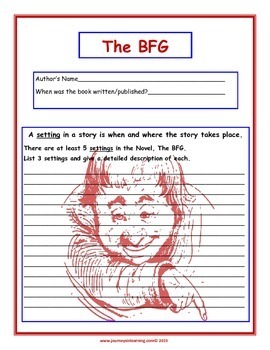 The activities include summarizing the setting and plot. Writing about the 2 main characters and about one of the many themes. 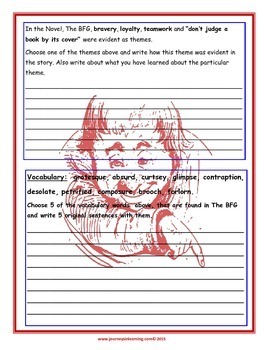 Students will also write original sentences using some of the vocabulary words found in the novel. 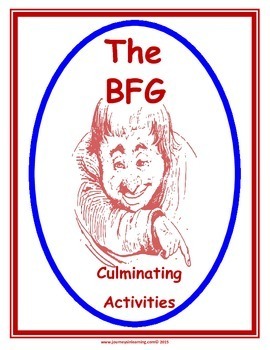 They will also have the opportunity to "Name" The BFG and draw his picture. Last but not least, students will draw the 9 other giants found in the novel. 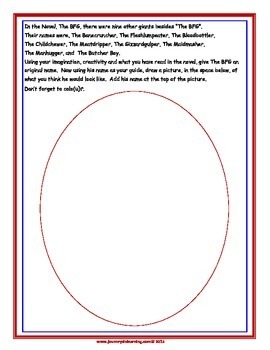 Use these activities as a quick assessment tool!